Human umbilical vein endothelial cells (HUVECs) are macrovascular endothelial cells of embryonic origin. Because HUVECs are relatively easy to obtain and culture, they are used in many models studying the pathophysiology of the endothelium. There are several reports on the influence of proinflam-matory cytokines on tumor cell adhesion to HUVECs. Activation of HUVECs by TNF-a or IL-1b promotes the adhesion of many tumor cell lines, including colon, pancreas, gastric, breast, lung, melanoma, cervix, osteosar-coma, and kidney carcinoma cell lines. All studies show that the increased adhesion is due to induction of adhesion molecules on HUVECs, although there is heterogeneity between tumor cells in the adhesion to HUVECs. For instance, melanoma cells express enhanced adhesion to cytokine-stimulated HUVECs that can be blocked by VCAM-1 antibody. Colon carcinoma cell lines express enhanced adhesion to stimulated HUVECs, which is not VCAM-1 dependent, but E-selectin dependent. In these studies, HUVECs were preincubated with cytokines for different periods, with peak adhesion for colon carcinoma cells after 4 hours of preincubation, after which adhesion decreased. This peak adhesion correlates with the E-selectin expression on stimulated HUVECs, and indeed adhesion was inhibited with an E-selectin antibody. The differences between particular tumor cell types indicate specific adhesion molecule patterns on tumor cells that can interfere with a specific adhesion molecule or complex of adhesion molecules on endothelial cells. Indeed, melanoma cells express high levels of the VLA-4 integrin, a counterpart of VCAM-1. On the other hand, most gastrointestinal carcinoma cells, such as colon carcinoma cells, do express relatively high levels of sialyl Lewis a and/or x and low levels of VLA-4. Sialyl Lewis a and x are able to bind to endothelial E-selectin. The heterogeneity between tumor-endothelial interactions can therefore be explained on the basis of particular adhesion molecule patterns of different tumor cells. In summary, the adhesion of tumor cells to activated HUVECs seems to be mediated by an upregula-tion of adhesion molecules and displays heterogeneity between different tumor cells. Although several studies of the influence of cytokines on tumor cell adhesion to HUVECs have been performed, studies using microvascular endothelium are limited. 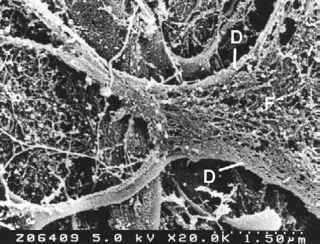 However, tumor cell adhesion does not occur in the macrovasculature; it occurs in the microvasculature. Because of the heterogeneity between microvascular and macrovascular cells, it is a prerequisite to use the correct endothelial cell type in studies investigating endothelial pathophysiology. Furthermore, HUVECs are fetal cells, which may involve other characteristics compared to normal cells. Figure 2 Tumor cell adhesion to HMVEC-L. HMVEC-L were pre-incubated for varying times (in hours) with TNF-a (HT29) or IL-1P (Caco2). Means (n = 6, % vs. control) + SEM are shown. * = p < 0.05; ** = p < 0.01.
significantly. The enhancement is concentration dependent, with maximal increase at 1 ng/mL TNF-a or 10 ng/mL IL-1p (Figure 2). Furthermore, tumor cell adhesion shows time dependence. Enhancement started after 2 hours of preincubation of the HMVEC-L monolayer with the cytokines. Maximal adhesion was achieved after 12 hours, and adhesion declined thereafter (Figure 2). This outcome differs from results obtained with HUVEC studies, in which adhesion had already peaked after 4 hours of preincubation, followed by a decline. Another difference between HUVECs and HMVEC-L is E-selectin dependence in tumor cell adhesion. Cytokine-stimulated HUVECs demonstrate E-selectin dependent adhesion of colon carcinoma cells. However, an E-selectin antibody did not inhibit the adhesion of both colon carcinoma cells to stimulated HMVEC-L. Unfortunately, as far as we know, there are no other reports on the adhesion of colon carcinomas to microvascular endothelium in vitro. 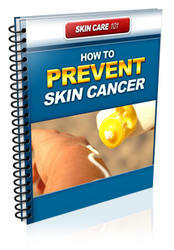 However, there are a few reports regarding other tumor cell types. Kwang et al  found differences between macrovascular and microvascular endothelial cells in melanoma cell-endothelial cell adhesion. The binding of melanoma cells to HUVECs occurs via VLA-4 on melanoma cells and VCAM-1 on cytokine-stimulated HUVECs. However, the binding of melanoma cells to cytokine-stimulated human dermal microvascular endothelium (HDMEC) could not be inhibited by a VCAM-antibody. Therefore, another mechanism must be responsible for the binding to HDMEC. Endothelial cells and tumor cells are both exposed to proinflammatory cytokines during surgical trauma. However, stimulation of colon carcinoma cells does not enhance the adhesion to endothelial cells. Therefore, the mechanism of enhanced tumor cell endothelial cell interactions under influence of proinflammatory cytokines seems to be dependent on endothelial changes. Although information about tumor cell interactions with the microvasculature is scarce, it is obvious that using the correct endothelial cell type studying the metastasis process is a prerequisite.